Many internet providers will send you a package through the post for your Broadband Setup containing wires, a modem and a CD, along with a badly written sheet of instructions mentioning ADSL, Ethernet cables, wireless dongles etc and expect you to set it all up. This can be very hard to understand for those with-out a lot of computer knowledge. Maybe you can install it yourself but just don’t have time – whatever the reason, we can do it for you. We can go over your internet providers set up, and get running with-out the added headache of doing it on your own. While doing this we will test the speed and also setup your WIFI or other network pc or laptop computers. There may be nothing more frustrating to an Internet user than lost Internet connections. When you can’t connect to the Internet, you feel cut off from the world. Furthermore, it’s often the case that you don’t even know why your Internet is down. One moment, you’re happily computing along, next, you can’t access a single web page. Why does this happen, and how do you fix Internet connections that have gone down? Fortunately, many Internet connectivity problems have simple solutions. The first thing you should do is to try connecting to the Internet with a different computer. If you are successful, it means the problem is with that particular computer. If not, it means there is a problem with either your Internet service or your broadband setup that you use to connect to the Internet, such as your modem or router. 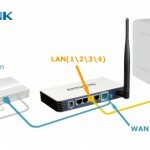 If the problem is with your Internet service, the solution may be as simple as making sure everything is connected: Check that your modem is connected to your router and both are connected to your computer (unless you are using WIFI) and to the wall jack. If everything is connected, including the power (indicated by all the proper lights being lit on the modem and router), try power cycling. Power cycling simply means disconnecting the power sources and reconnecting them after 30 seconds or so. This allows a “mini-reboot” of the system so that if the problem was a temporary glitch, it may be resolved. If none of this works, you may want to contact your service provider. They may have discontinued service for some reason, there may be a temporary outage in your area, or there may be a problem with the equipment itself. If your computer is the problem, try rebooting. This may clear any temporary glitch that was interfering with your service. If this doesn’t help, you may want to try resetting your IP address. This is a relatively simple procedure that often resolves connectivity problems. If that doesn’t work, make sure your computer is set to detect your Internet network. One issue that may play havoc with your Internet connection is malware (either spyware or malware). In addition to all of the other problems these kind of programs cause, adware may cause ads to continually pop up on your browser, making normal Internet use effectively impossible. Moreover, certain malware programs, when you try to eliminate them from your computer, defend themselves by resetting your Internet gateway so that you can’t connect. The best way to defend yourself against this kind of Internet connection problem is to get anti virus software that detects and eliminates viruses and malware before it insinuates itself into your system. A great program for this is Kaspersky, which has an early detection system designed to stop threats fast and quarantine or block them before they can do the kind of damage that plays havoc with your Internet use.